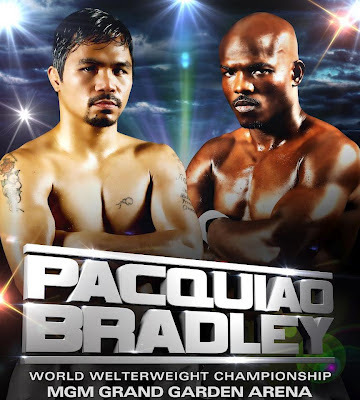 Are you getting ready for the Pacquiao - Bradley fight that is to happen this June 9 at the MGM Grand Arena in Las Vegas? 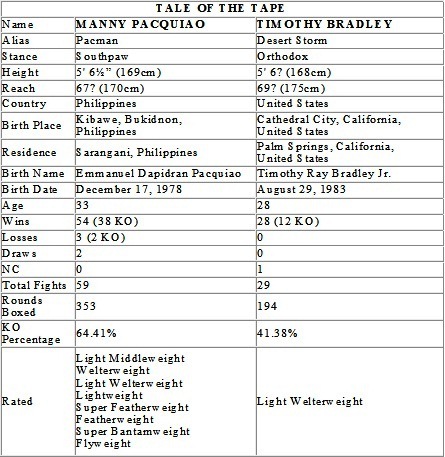 Before this latest fight of Manny Pacquiao happens, it is recommended to see the Tale of the Tape. This way you can have an idea who will have an advantage of whose going to dominate in the ring. The agreed weight of the two boxers is 147 lbs. If one of them exceeds this weight limit, they will be sanctioned. Timothy Bradley has a clean record except for the No Contest against Nate Campbell (which ended after three rounds due to latter's cut over the left eye). Bradley also has a two-inch reach advantage and younger than Pacquiao. Manny Pacquiao on the other hand, has advantage in terms of experience. With 59 fights and a high knock-out percentage of 64.41 %, he has proved a lot compared to Bradley. Based on the statistics, we can expect a good fight this coming weekend. 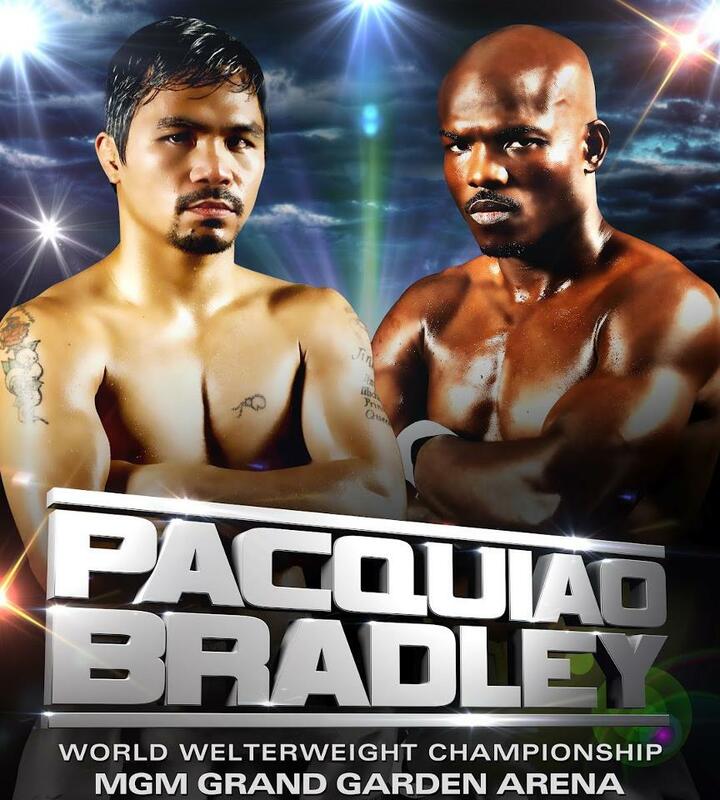 Let's hope that Pacman will do the best in the field he is best known for.